It’s not too late to fit in more summer reading! The Horn Book, a trusted publication about children’s literature, puts out recommendations every year, and this year’s list is full of their favorites published in 2016 and 2017. Check out the lists (divided by reading levels) here, then print them out and bring them with you to the library! Have you signed up for our Summer Reading Program yet? Whether you’re a child, teen, or adult, there is a program for you! You can register online and be sure to check out our calendar for all of the great events we’re offering this summer! We hope you’ll join us. The Brighton District Library invites you to learn, grow, connect, and create with us this summer! Stop by the library Sunday, June 11 from 1-4pm for Springfest, the Summer Reading Program kick-off event in Millie’s Garden. Enjoy juggling and stilt walking, amazing balloon art, ice cream, petting zoo, giant bubble station, and a surprise visit from one of our favorite princesses. Visit the library’s favorite tiger sculpture, back in Millie’s Garden, following a two-year make over by artist Sue Sanderson and weather proofing by Brighton Ford. The tiger has a fresh new look with vividly colorful endangered animals painted throughout the body. See how many you can name, then, join us by entering our name the tiger contest. Register for Build a Better World, this year’s Summer Reading Program theme, June 11-August 5. It’s free and for all ages! The library is the perfect place to help imaginations take off with books, music, movies, special events, and lots of fun! The Summer Reading Program encourages reading during the long summer months to help maintain the gain that was made during the school year. “Of all the activities children and teens participate in, time spent reading is the best predictor of reading achievement because the more students read, the better readers they become,” said Carla Sharp, Head of Youth Services at the Brighton District Library. “Children tend to read more when they are allowed to choose their own reading material. Those who read during the summer move ahead with their skills, those who don’t may lag behind in the fall,” said Sharp. Springfest and the Summer Reading Program have been generously sponsored by the Friends of the Brighton District Library. The Brighton District Library is located at 100 Library Drive, Brighton. For information about Springfest or the Summer Reading Program call 810-229-6571. Let’s Prevent Summer Reading Loss! Summer reading loss refers to the decline in children’s reading skills that can occur during summer vacation when children are away from the classroom. Not just a perception in the minds of educators, the reality of summer reading loss is well documented. Research involving 116 1st-3rd-graders from a school in a middle-class neighborhood found that the decoding skills of nearly 45% of the participants and the fluency skills of 25% declined between May and September. Lower-achieving students exhibited an even sharper decline than higher-achieving students. Why does summer reading loss occur? Access to reading materials has been consistently identified as a vital element in enhancing the reading development of children. Of all the activities in which children engage outside of school, time spent actually reading is the best predictor of reading achievement – the more students read, the better readers they become. The research indicates also that students, on average, spend pitifully little time reading outside of school – about 10 minutes. What can be done to curb summer reading loss? The value placed on literacy in the home, time spent reading with children, and the availability and use of reading materials have been identified as important elements in children’s reading success. Supporting reading development over the summer months can be done in ways that tap into children’s own interests and imaginations. This would be a wonderful time to coordinate with the local public library on its summer reading program! Sing songs, say short poems or nursery rhymes, and play rhyming words games with your child. Point out print in the child’s environment: on cereal boxes, food labels, toys, restaurants, and traffic signs. Tell stories to your child. Read aloud to your child. Point to the words on the page as you read. Read a short passage several times to your child until your child can read it with you. Then encourage your child to read the passage to you. Encourage older children to read with younger children. Encourage your child to read (or pretend read) to you. Make this reading enjoyable. Don’t worry if your child does not read all of the words correctly but, rather, applaud your child’s efforts to read. Go to the library together. Have books, magazines, and newspapers around the house. Let your child see you reading. Encourage your child to write messages such as grocery lists, to-do lists, postcards, or short messages to family members or friends. Don’t worry about conventional spelling at this point but, rather, encourage your child’s first efforts at authorship. When watching television, have the captioning feature enabled so that the children view the words while hearing them performed aloud. Make reading and writing a regular part of your daily home activities. Let your child see you using reading and writing for real purposes. Visit the public library. Help your child to get his or her own library card. Read to your child regularly, even after your child is able to read some books independently. Praise your child’s efforts at reading. Play word games such as thinking of different words to describe the same things. Support your child’s writing. Have writing materials such as paper, markers, and pencils available. Read what your child writes. Set reasonable limits for television viewing. Adapted from Mraz, Padak, & Baycich (2002). Have you seen the Oscar-winning movie Hidden Figures? Did you know there’s a book that you can share with your kids? There’s a Young Readers’ edition of Margot Lee Shetterly’s Hidden Figures : the untold true story of four African-American women who helped launch our nation into space. The library also has the audio book version. Check them out today! Shared Reading Books Offer Fun Together Time! Kids love being read to, so when they’re ready to begin reading on their own, it’s fun to read together. Mary Ann Hoberman has picture books called You Read to Me, I’ll Read to You. Her books use traditional reading teaching techniques (imagery, rhyme, short sentences, and repetition) to encourage young children to read along with an adult while improving their reading skills. Hoberman’s books are clear, color-coded and include short stories, short Mother Goose tales, and short Fables. 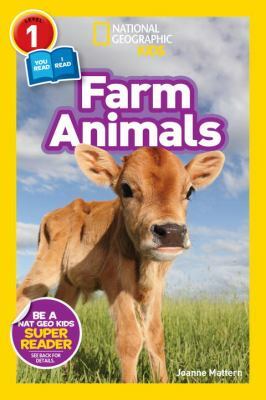 National Geographic Kids also has a collection of non-fiction Easy Reader books that follow the same shared reading format. 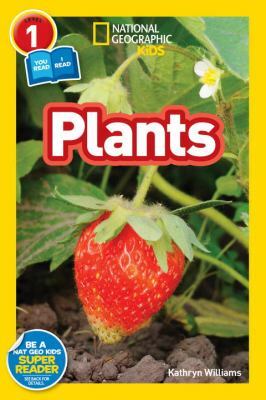 They are called You Read, I Read and include Farm Animals by Joanne Mattern, and Plants by Kathryn Williams. These books offer bright, gorgeous photos that delight readers each time the page is turned and bold text. Come on in to the library and see what else we have to offer for your beginning reader! 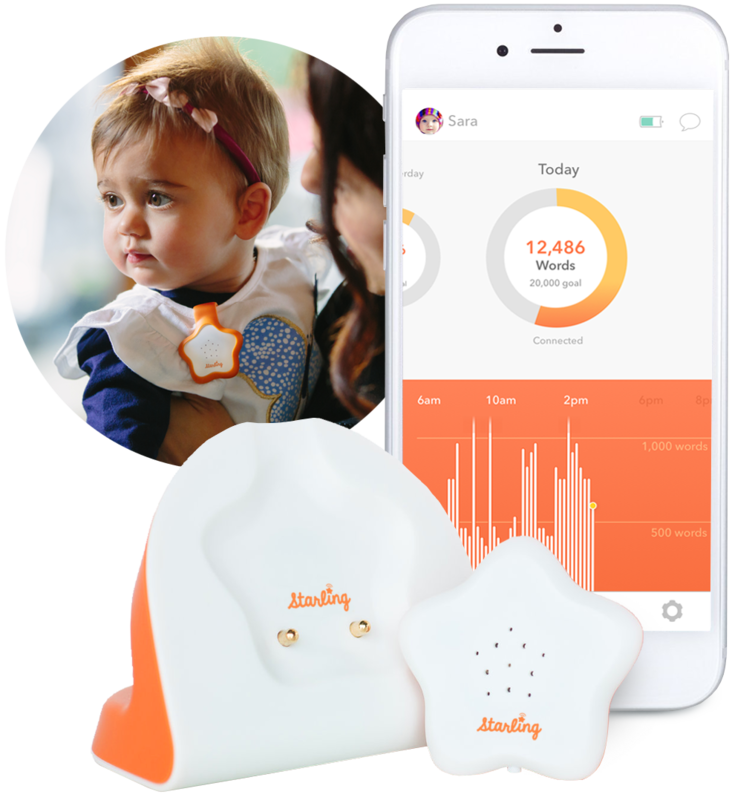 Starling Word Pedometer helps parents embrace their role as their child’s first teacher by keeping track of the number of words they say to their child throughout the day. Similar to how a FitBit keeps track of the number of steps that a person takes throughout the day. Why is this important? Babies learn language by hearing it. The more they hear, the faster their brains get. Peek-a-Boo for babies, and hide and seek for older children, are both healthy forms of play. While fun, they also teach some important cognitive skills. Peek-a-Boo makes babies laugh, but also teaches them an important concept of object permanence; that things can still exist even though they might not be able to see them. While searching for objects or people, children develop problem-solving skills as the try to figure out the best place to hide or to find the object. This much loved game can also teach them the concept of volume as they try to fit into that perfect small hiding place. It also gives them an opportunity to develop their social skills: as they play with others they learn about taking turns, resolving conflicts and about teamwork. Hide and Seek will help improve their balance, agility and coordination. Wow, who could have imagined this much learning could be this much fun! Olly Olly Oxen free!! This year’s Livingston Reads book pick is the 1974 classic thriller Jaws. We have created some fun and educational programs for families to enjoy! Wednesday, April 12, 6:30 to 8:00pm, Pre-registration is required, Space is limited. Tonight as part of our 2017 Livingston Reads program series, we’ll be creating shark teeth jewelry, perfect for both men and women, boys and girls, ages 9 and older. Limit of 20 participants. Register online beginning Wednesday, March 29 or by calling 810-229-6571 x227. Sharks, the Ocean & You – Thursday, April 13th, 6:30-8:00, Free, all ages, Pre-registration required. Kim Parker from Aquatic Adventures will share her experiences with these incredible creatures of the deep. Despite their terrifying reputation, sharks play an important part in their ocean environment. Come learn about the ocean, sharks and how scuba diving can give you a chance to share their world. Register online beginning Thursday, March 30th or by calling 810-229-6571 x227. Aquariums 101 – Wednesday, April 19, 6:30-8:00pm, Free, All Ages, Pre-registration is required. The library fish tank is so popular that perhaps you’ve thought about fish as pets. Come explore the world of keeping fish as Barby Newton of Fish Doctors will explain everything you need to know. Explore different kinds of fish (even little sharks for your tank), freshwater vs saltwater, how to start and maintain an aquarium and even find out if fish can walk! Register online beginning Wednesday, April 5th or by calling 810-229-6571 x227. Saturday, April 29th, 1:00-3:00, Space is limited. Tickets available at 12:30pm. Explore the world of prehistoric sharks, find out why sharks are called the ‘garbage can of the sea’, touch jaws from different sharks, huge fossilized teeth and take a smaller shark tooth home with you! You may even see and touch a dissection of a shark specimen! Children 5 and under must be accompanied by an adult. Register online beginning Saturday, April 15th or by calling 810-229-6571 x227.